And now the final entry in my series on Storybundle's excellent ebook bundle of Aurora Award winners and finalists. And it's my own collection, Chimerascope. Setting modesty aside (tough to do for a Canadian), if you look at the list of Aurora Award winners and finalists over the years, you'll see my name a total of nineteen times, including three wins. 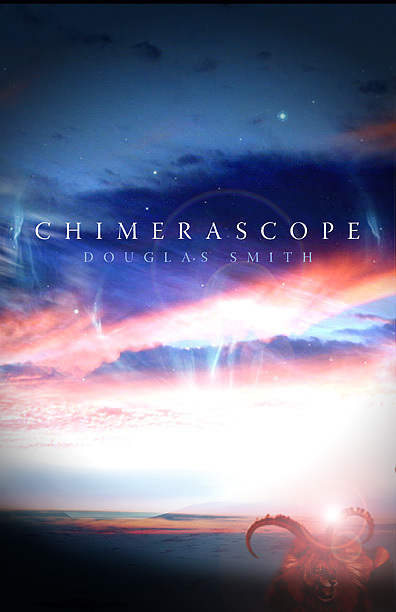 Chimerascope was a finalist for the Aurora Award, the juried Sunburst Award, and the CBC Bookies Award. Chimerascope also contains one of my Aurora Award winning short stories, "Scream Angel," along with seven other Aurora Award finalist stories and a Best New Horror selection. It contains sixteen stories of fantasy and science fiction that take you from love in fourteenth-century Japan to humanity’s last stand, from virtual reality to the end of reality, from alien drug addictions to a dinner where a man loses everything. A young artist hungers to draw you. A dinner conversation takes three lifetimes to finish. A geologist faces a planet-sized, eons-old puzzle to save her crew. The hero of the Fall of Earth must choose between love and revenge. A mysterious dancer leads a businessman to a most exclusive nightclub. A man is born each day into a new life—only to die each night. A sentient aurora threatens the last of humanity. A Norse god’s bar in Toronto hosts an unplanned family reunion. A woman descends into insanity—or is it the end of the world? A house as big as the world. This great ebook bundle is only available until April 21, so grab it now before you forget and miss the chance!